Shop online pet supplies. 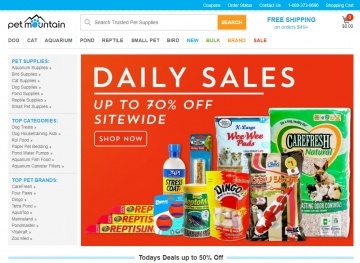 Aquarium Supplies, dog supplies, pond Supplies, reptile supplies, cat supplies, reef supplies, small pets, and bird supplies. Click a Coupon or click Start Shopping to earn 4% Cash Back at Pet Mountain.